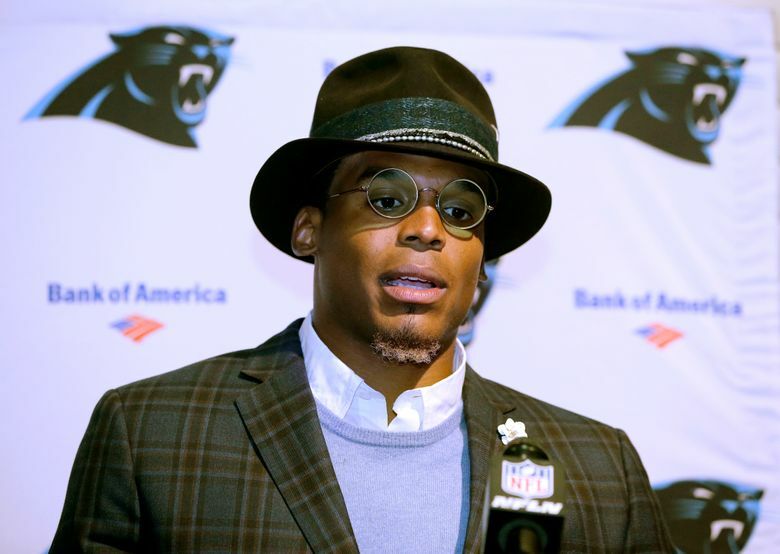 As women in sports journalism perhaps we should all thank the Carolina Panthers quarterback. His snide comment Wednesday to Charlotte Observer reporter Jourdan Rodrigue showed the world who he really is, and helped us show what women in the industry face every day. I’m glad Cam Newton’s sexist comment to Charlotte Observer reporter Jourdan Rodrigue on Wednesday was caught on video. That self-satisfied smirk, the sneering tone and those telling words — “It’s funny to hear a female talk about routes. It’s funny.” — showed the world just what female sports-media professionals face so often while doing their jobs. The sexism isn’t always put on display like that for all to see. But it’s there. It’s there on social media, where trolls call you names and hide behind anonymous accounts. And it’s there in nonsensical emails from some readers who focus on your gender when lambasting you about subjects that have nothing to do with gender. Sometimes it even comes from your co-workers. Cam Newton to reporter: "It’s funny to hear a female talk about routes"
Before I delve any further into the subject, here’s a caveat. I’ve been fortunate enough to work with some truly great people, both male and female. I’ve been supported and mentored by so many upstanding male peers and editors who took a young reporter under their wings and helped show me the ropes. I also have been fortunate enough to cover some coaches who were men of character and taught their players to treat everyone with respect. And I’ve never been disrespected by any athlete the way Rodrigue was by Newton. The closest thing to overt sexism I’ve encountered while out on the beat as a sports reporter came in my first year on the job. As the West Virginia University football beat writer at The Dominion Post in Morgantown, W. Va., I covered the Mountaineers from 2007 to 2009. I think it was during spring ball in 2008 when an elderly man came up as I was walking the field during practice at Milan Puskar Stadium and stared quizzically at me. The look on his face was clear: What are you doing here? He approached me and asked what the heck I (a woman) was doing on this field, because how the heck would I (as a woman) know anything about football? I was young and too stunned to say anything — though in hindsight I wish I had been able to find my tongue quicker and delivered some choice words. But fortunately for me, some WVU team staff members had overheard the encounter. They threw the man out of practice and apologized to me. The incident stuck with me. That day, for the first time, I saw my gender. I realized I was a female sports reporter in a field still dominated by men. And I knew the onus was on me to show every single day that I belong. Which is why I was so surprised years later when, as a more seasoned reporter with thousands of clips to my name, I realized that once again I had been a victim of sexism. But this time it was the less-overt, behind-your-back variety, and it came from some former co-workers. For these men, my gender automatically put me a step behind other male reporters. And I found it didn’t matter what I did or how well I did it; they had relentlessly nit-picked at my work and searched for reasons to knock me down. I didn’t find out about this until long after the fact. And like Rodrigue did Wednesday, I’m going to take the high road and not go into details about who these people are or when I worked with them. But they know who they are. And to them I say this: Your quest to break me down fuels me every day. It makes me want to prove I’m not the reporter you tried to make me out to be. That I’m good at what I do, and that I’m always striving to get better. And that with every story I write, I will continue to prove you wrong. This brings us back to Newton. Mr. Newton, as women in this business perhaps we should all thank you. Your snide comment to Rodrigue showed the world who you really are, and helped us show what women in the industry face every day. It also will make Rodrigue a better writer and reporter. Every day when she sets foot in the Panthers’ locker room or on the football field, she will endeavor to be the best reporter she can be. She will want to prove you wrong, and continue proving you wrong for as long as she is on that beat and as long as you play for that team. That’s how you deal with sexists and bullies. You fight.